Sherry Buffington, PhD is an internationally recognized authority on performance, motivation, leadership and organizational effectiveness. She is a pioneer in the field of developmental assessments and performance improvement at both personal and professional levels. 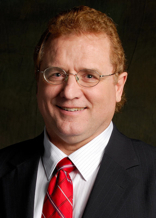 Dr. Buffington is president and CEO of NaviCore International, Inc., a research and development firm focused on behavioral analysis and performance optimization. She is the originator and co-developer of the highly acclaimed CORE Multidimensional Awareness Profile and the CORE Personal Effectiveness Profile, author of several books including The 7 Essentials for Lasting Success, Who’s Got the Compass?... I Think I’m Lost!, The Productivity Path, One Great Idea, The Law of Abundance, and Communicate to Connect, and has developed curriculum for numerous adult training programs. With over 30 years of experience helping organizational leaders improve outcomes, and maximize performance and productivity, Dr. Buffington brings a unique perspective to organizations and a set of skills that regularly result in significant and measurable improvements, greatly increased engagement and productivity, and increased profits. After many years of hearing managers complain about Gen Xers, Dr. Buffington, an avid researcher, began studying the X generation to discover why the perceived dynamic existed. As Millennials began moving into the workforce, she added them to the study. Exiting Oz is the culmination of fifteen years of researching these generations as well as conducting in-depth research into leaders of all kinds. 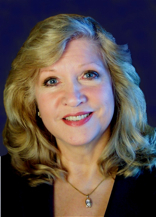 Gina Morgan, CMCC, is a personal and executive coach, certified Master CORE analyst, trainer and author. Her direct approach coupled with her ability to truly connect with her clients allows her to get to core issues rapidly and help clients overcome old conditioned patterns and roadblocks that have been preventing them from achieving their desired outcomes personally and professionally. She is vice-president of NaviCore International, Inc. and co-developer of the highly acclaimed CORE Multidimensional Awareness Profile and the CORE Personal Effectiveness Profile and has developed curriculum for numerous adult training programs as well as editing and curriculum services used by several community colleges and universities. Gina is also a certified grief recovery counselor which gives her a unique ability to tap into and heal pain points that may be affecting productivity and outcomes. She is an expert in the areas of leadership, inter-personal effectiveness, communication, diplomacy, stress management, interpersonal dynamics, and team effectiveness. She has over 20 years of experience helping clients develop their natural strengths, improve communications, develop greater levels of EQ, improve relationship outcomes and maximize personal productivity. Her clients range from individual coaches and therapists to Fortune 100 corporations. Gina’s contributions to Exiting OZ were her extensive knowledge of human nature and executive coaching, the knowledge gleaned from many years of research on employee dynamics and leaders of all kinds, and her excellent editing skills. 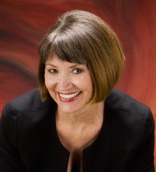 Julie Overholt, PCC is an internationally recognized Executive Coach to leaders of Fortune 100 companies. Her passion for working with leaders includes executive re-invention to help leaders align their strengths to the demanding issues that impact their organization’s sustainability and profitability. With over 25 years of experience in talent development and career consulting, Julie’s emerging interest is helping organizations evolve their mission and values into global initiatives that enhance their impact in the world profitably and socially. Credentialed as a Professional Certified Coach through the International Coach Federation in 1996, Julie is considered a pioneer in the profession of business coaching. She is a graduate of Coach University and affiliated with the Graduate School of Coaching, Legacy Leadership Institute and Target Training, International. She has a BA in Speech from Augustana College in Rock Island, Illinois. 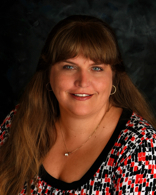 Julie is also a Certified Professional Behavioral Analyst and CORE trained analyst. Julie has been used as an expert resource for Entrepreneur Magazine, Men’s Health, Ft. Worth Star Telegram, numerous technology magazines, print and media outlets across the United States. Julie’s contributions to Exiting OZ were her insightful examples gleaned from her vast knowledge of over 25 years experience with 15 years as an Executive Coach. Dr. Glen Earl is an expert in Leadership Development, Organizational Effectiveness and Employee Engagement with 20 years experience as a business psychologist. His experience as an employee and as a consultant to thousands of employees in dozens of organizations in 12 countries has given Dr. Earl a clear understanding of the challenges of the multi-generational workforce and the organizational culture needed to sustain long term organizational success. As a successful author and speaker Dr. Earl is an engaging, entertaining and enthusiastic keynote speaker and presenter on topical issues that affect people both at work and at home. Dr. Earl’s philosophy is that of balanced living; a concept dear to the hearts of today’s generations, but certainly not a new one. He believes that to live the best possible life we need mental, physical, spiritual, emotional, intellectual, and economic health. His focus is on providing the means to achieve these to anyone ready to make a significant and positive change in their outcomes. Dr. Earl holds a MA and Ph.D. in Organization Psychology from Alliant International University, Los Angeles, CA, a MS in Family Relations from Eastern Michigan University, and a B.S. in Child Development from the University of Utah in Salt Lake City, UT. Glen’s contributions to Exiting OZ were his examples based on his extensive knowledge gleaned from over 20 years as an Organizational Psychologist.